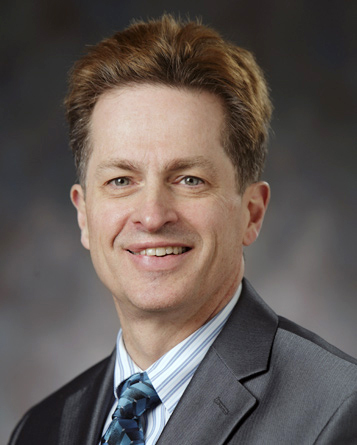 Dr. Reynolds graduated from the University of Washington Medical School in 1996 and completed his residency in ophthalmology through the University of Washington in 1999. He completed a fellowship in glaucoma at the prestigious McGee Eye Institute in 2000 and was selected to serve as an academic glaucoma specialist at that institution from 2000 through 2006. He has done a great deal of research and has published many articles and book chapters on many different aspects of glaucoma care and holds many leadership positions within the American Academy of Ophthalmology (AAO) and the American Glaucoma Society (AGS). He came to Intermountain Eye Centers in 2006 and is currently licensed in Idaho, Washington and Oregon. Dr. Reynolds specializes in advanced diagnostic and treatment modalities for glaucoma, especially advanced, non-invasive glaucoma laser and surgical interventions. He also provides general ophthalmology care, including advanced cataract surgery with presbyopic and astigmatic vision correction technologies. Dr. Reynolds is a member of American Academy of Ophthalmology, the American Glaucoma Society, the American Society of Cataract and Refractive Surgeons and the American Eye Study Club. He was board certified by the American Board of Ophthalmology in 2002. Aside from work, Dr. Reynolds and his wife, Tricia, like to spend time with their children, Nicole and Peter, enjoying the outdoors of Idaho skiing and river rafting. They love spending time at their family vacation home on the northern Oregon Coast.